An abundance of valuable stem cells are found in baby teeth, wisdom teeth and permanent teeth. Stem cell banking is a unique stem cell recovery and cryopreservation service that allows participants to use their stem cells in the event of future injury or disease. Since this process is time-sensitive, Nu Image surgeons and team members are properly trained to retrieve viable teeth and ship them directly to StemSave™. There, the stem cells are extracted from the teeth and cryogenically preserved for future use. While stem cells can be found in most tissues of the body, they are usually buried deep, few in number and similar in appearance to surrounding cells. With the discovery of stem cells in teeth, an accessible and available source of stem cells has been identified. 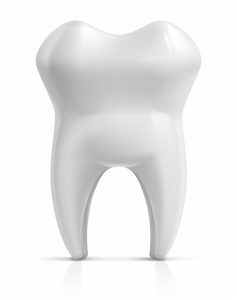 The stem cells contained within teeth are capable of replicating themselves and can be readily recovered at the time of a planned dental procedure. To date, 6000+ clinical trials have been conducted & over 70 clinical applications using Adult Stem Cells have been approved. *If laboratory tests determine that samples are not viable upon receipt, then a credit will be applied to the account and the patient will receive a FULL refund. Our Nu Image Field Team can provide answers to help. Please contact Asha (919-244-9504) or Natalie (919-306-8711) with any questions you may have.